Bois De Cedrat Perfume by Creed, Indulge in simple, clean refreshment with Bois de Cedrat, a sparkling women’s fragrance by Creed . This invigorating elixir lends a lot of charm and sophistication through its few ingredients, blending citrus and woody accords for a light, airy composition. Sicilian lemon steps in as the top note, giving you an energizing burst of tart citrus right from the start. The middle note of Calabrian mandarin expands on this aroma, though it adds a sweeter touch to the Read More Read More mix. Base notes of salty ambergris and light cedar bring a savory essence to the combination for an overall delicate and aromatic experience that works perfectly as a subtle, daytime scent. 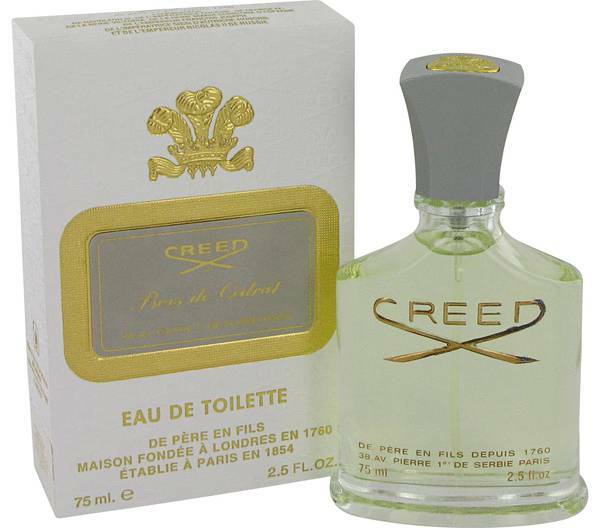 The Parisian-based luxury fragrance company Creed launched this majestic scent in 1875, created by the artistic talent of Henry Creed, the third generation owner. This family-run business has continued to flourish since 1760 and has been passed down through six generations, with the seventh generation owner soon to be crowned. They’ve released up to 79 perfumes through the help of master perfumers. All products are original, authentic name brands. We do not sell knockoffs or imitations.